At twenty-one, Savannah Levine – orphaned daughter of a notorious dark witch and an equally notorious cutthroat sorcerer – considers herself to be a full-fledged member of the supernatural race that rules the Otherworld. The once rebellious teen has grown into a six-foot tall, motorcycle-riding, jaw-dropper with a full arsenal of spells that she’s not afraid to use when she gets caught in a bind. There’s only one small problem – her adoptive parents. Paige and Lucas don’t always trust her. Of course, she’s given them plenty of reasons... but those are in the past. People can change, right? When Paige and Lucas take off on a romantic vacation alone, leaving her in charge of their detective agency, Savannah is presented with a case that she can’t turn down, and one she can finally call her own. Recruited by another supernatural detective, she travels to Columbus, Washington – a small, almost shell of a town. Two troubled young women have been found in an abandoned warehouse, murdered. Now a third woman is dead, and darker forces seem to be at play. Savannah feels certain she can handle the case, but with supernatural activity appearing at every turn, things quickly become more serious – and far more dangerous – than she realizes. Caught up in a web of lust, false identities, and lies, Savannah must summon strength from her depths and fight like she’s never fought before. 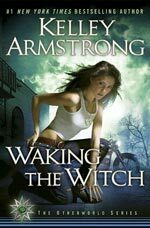 Waking The Witch is the eleventh full-length novel in Kelley Armstrong’s bestselling Otherworld urban fantasy series. In the world of urban fantasy series book eleven usually means that new readers should be prepared to have a lot of catch-up reading to do before even thinking about opening the latest story instalment but Waking The Witch works well enough on its own to be a good starting place for series newbies. Unlike most fantasy series authors Kelley Armstrong doesn’t always choose the same protagonist for her stories. She writes her books in first person perspective switching out narrators every other book which keeps characters fresh for both the author and the reader. Waking The Witch is the first Otherworld book with Savannah as a narrator, which is why it makes a good series starting point, even long-time fans haven’t seen the Otherworld from Savannah’s perspective before. There are some tantalising hints of past adventures, which are just about guaranteed to get new readers scrambling for the Otherworld back catalogue, but they don’t distract readers from the current storyline. 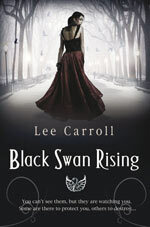 Establish series fans have watched Savannah grow-up from a troubled teen to a magically gifted young witch, with a job at the Cortez-Winterbourne Investigations agency. This time Savannah is out on her own for the first time investigating murders with supernatural overtones in a small, run-down Washington town. Eager to prove herself capable but nobody’s fool, Savannah proves herself to be a resourceful investigator – her flexible ethics allowing her to bend the rules and break the law for the good of the investigation – while her magical abilities ensure that she doesn’t get caught. Waking The Witch has less supernatural elements than previous Otherworld offerings. The plotline draws heavily on the whodunit mystery angle with the town offering no shortage of likely suspects, all apparently human. The investigation follows a fairly traditional murder mystery format, Savannah’s magical requirements being limited to the occasional blur and cover spell to aid her snooping. Savannah finds no shortage of evidence of human crimes but little sign of the supernatural murderer she’d been hired to trace. While vampires exist in the Otherworld there are none in this story – the focus here is firmly on witches and the couple of half-demons aiding Savannah with her investigation. With the supernatural being fairly low key the whodunit mystery element of the story gets more of a chance to shine – resulting in a fast-paced page-turner of a story that is complex enough to baffle even the most dedicated crime reader. Waking The Witch shouldn’t fail to please committed Otherworld fans as well as win over a whole bunch of new devotees. Savannah’s sassy voice narrates the tale with verve and confidence making her a welcome addition to the Women of the Otherworld. As well as excerpts from her published novels Kelley Armstrong has many original short stories and a novella about the characters and creatures from her published books on her website (just follow the Extras link to ‘Online Fiction’.) Visit Kelley’s website.